Bentley made with three new models at the 2018 Beijing Auto Show. The big novelty of the new BENTAYGA will be. And new version is a Bentayga V8, and the power is ensured by the 4.0-litre, twin-turbocharged petrol engine, which is the latest version of Bentley's exquisite SUV combines limousine-like refinement with exceptional performance and sporting character, and will be showcased in China for the first time. The all-new Continantal GT alongside the Bentayga, and the new Continental GT, a car that sets new standards in luxury Gran Touring. 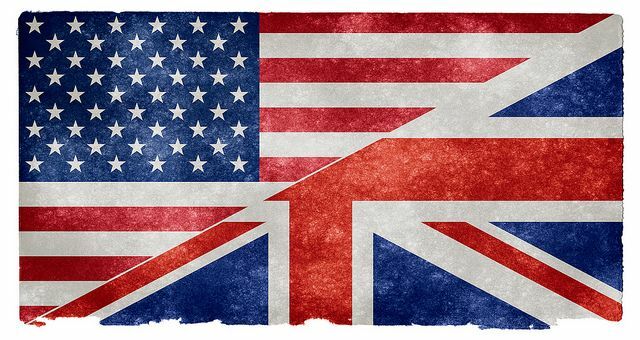 Also making its Beijing show debut, it is designed, engineered and handcrafted in Britain, and features the highest levels of attention to details, artistry and cutting-edge technology. … and the third novelty will be the new Mulsanne Extended Wheelbase that is, the long wheelbase version. The extended wheelbase of 250 mm being entirely to the benefit of the rear-seat passenger's legroom. 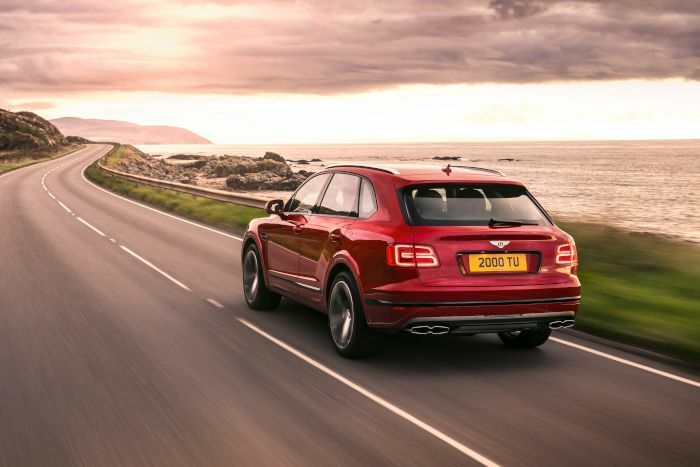 The Bentayga range is expanding with the new V8 engine, which is assured the perfect power, usability and even addition the fully customisable driving experience, through Bentley’s Drive Dynamics system, with the limousine-like refinement to sporting precision. The new version heart is a 4.0-litre, twin-turbocharged V8 petrol engine, which produces 542 bhp (550PS) and the peak torque is 568 lb-ft (770 Nm). This powers the Bentayga V8, the most performance-oriented version to date, from 0-60 mph in 4.4 seconds (0-100 km/h: 4.5s), and on top speed of 180 mph (290 km/óra). Such immense power doesn’t compromise efficiency either – the new-generation engine helps give the Bentayga V8 a range of 464 miles (746 km), with CO2 emissions of 260 g/km. The new model also benefits from a characteristic V8 burble, stylish twin-quad exhaust pipes and optional carbon-ceramic brakes. These features combine to reveal even more of the Bentayga V8’s sporting nature, with responsive performance fully customised by the driver through Bentley’s Drive Dynamics system. 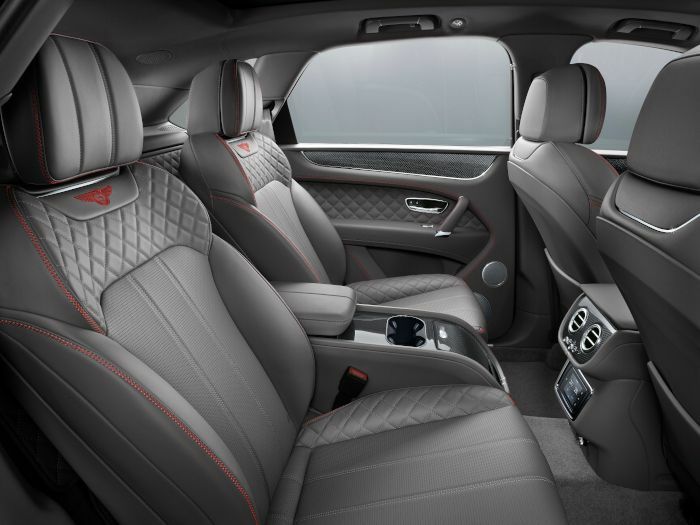 The interior brings the Bentley tradition of intricate detailing and fine, handcrafted precision using authentic materials. Among the three innovative, new interior options is a high-gloss carbon-fibre finish for the first time. A wood and hide trimmed steering wheel option is also a first. The new model of state-of-the-art driver assistance systems and infotainment features designed to enhance safety, comfort and convenience make the Bentayga V8 an innovative, advanced and connected luxury SUV. The V8 luxury SUV is also available with Bentley Dynamic Ride – the world’s first electric active roll control technology. The system instantly counteracts lateral rolling forces when cornering, ensuring maximum tyre contact. This delivers class-leading cabin stability, ride comfort and handling. The new model optional carbon-ceramic brakes are the world’s largest front brake system. Besides the luxury SUV, they are also showing, the new third generation Bentley Continental GT is a peerless Grand Tourer. The beautifully sculpted exterior design combines with an innovative, exquisite interior to create a statement of true luxury. 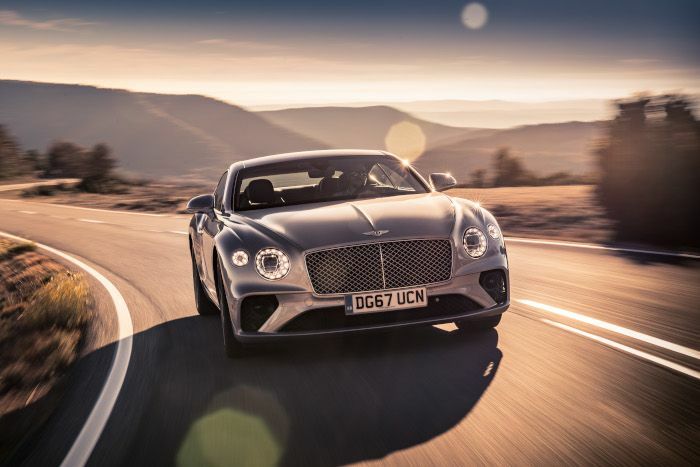 At the forefront of luxury Grand Touring for almost 100 years, the all-new Continental GT is the very pinnacle of design and engineering achievement. It confirms Bentley’s position as the world leader in luxury mobility. Under the sculpted bonnet is the all-new, enhanced version of Bentley’s renowned 6.0-litre, twin-turbocharged W12 TSI engine, mated for the first time to a dual-clutch eight-speed transmission for faster more efficient gear changes. A new, technically advanced, adaptive chassis uses Bentley’s intelligent 48-volt Dynamic Ride System to ensure a responsive ride and exceptional handling and refinement in all road conditions. It controls ride comfort and lateral roll, cushioning passengers from excessive movement. 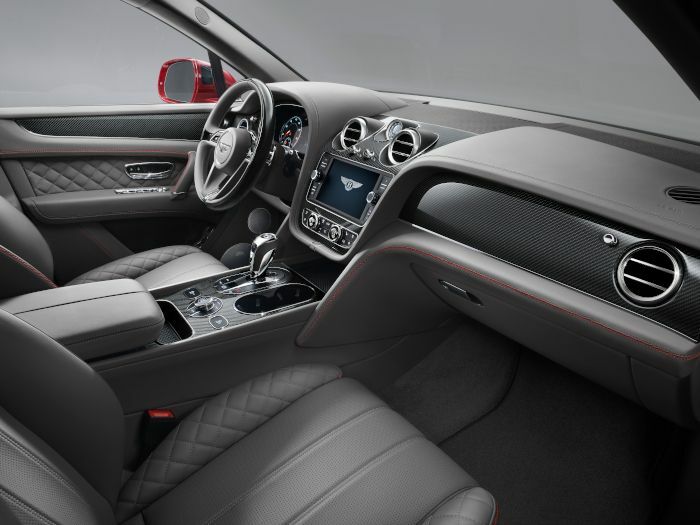 Inside, the cabin is tailored specifically to the modern luxury customer and features the innovative Bentley Rotating Display – a 12.3” touchscreen housed in a three-sided unit which revolves the veneer to reveal the touchscreen, as well as three elegant analogue dials. 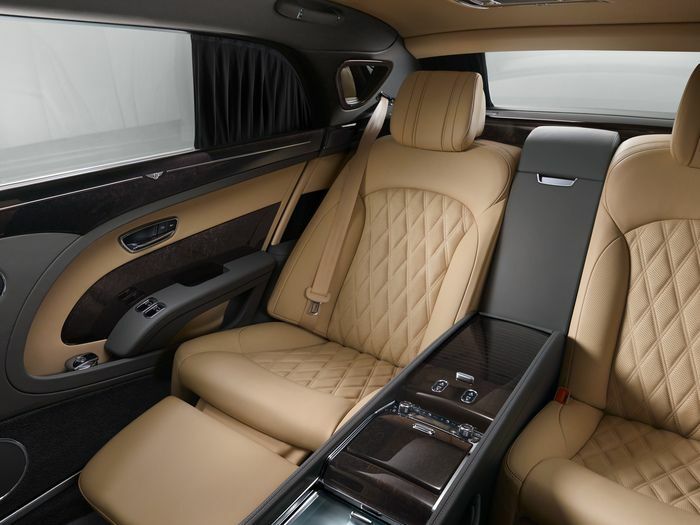 The Britain automaker third novelty in Beijing, the new long wheelbase Mulsanne luxury sedan, which comes with even bigger space in the interior. The most luxurious Bentley model ever, the flagship of the company’s range is a statement of craftsmanship and artistry.Designed with the back-seat passenger in mind, it features an additional 250mm of rear legroom, airline-style extending legrests and a rear compartment sunroof. A beautifully appointed console separates the two rear seats. Ornate and functional, it is appointed in the finest handcrafted veneer, metal, glass and leather, while housing practical features such as USB ports, pen holders, cup holders and a glass-covered stowage area. A hátul utazó úrnak lehetőséget adva a menet közbeni munkára, amihez hozzájárul a lehajtható kis asztal is. A privát zónát elektromos függönnyel eltudjuk különíteni, ami alap az új modellváltozatnál, és kérhető fekete és bézs beltérszínben is. Both rear seats can also be specified with a deployable, folding table. For privacy, electric curtains at the rear are standard fitment and can be tailored with either a black or champagne-coloured interior lining.